Your missing tooth or teeth can, in certain circumstances, be replaced by a fixed replacement tooth. Bridges rely on solid teeth either side of the missing tooth, and good gum conditions. We can advise you as to which type of bridge will be suitable, depending on the space and teeth you have present. 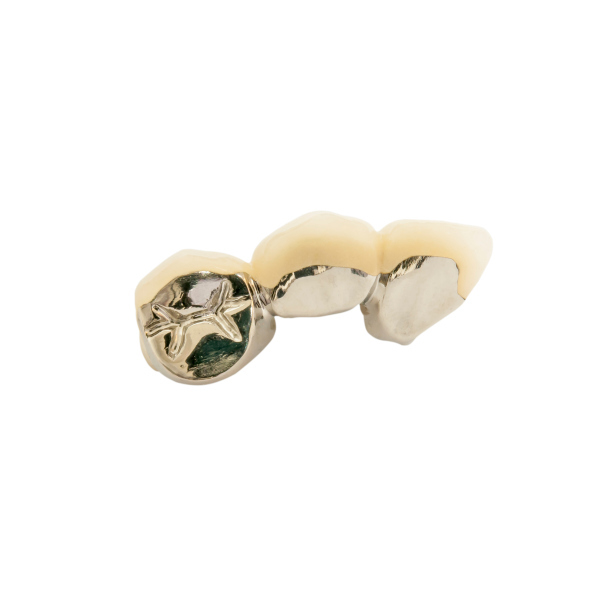 These are the most conservative of your valuable teeth – they rely on two metal wings cemented onto the teeth either side of your missing tooth, sometimes with no drilling of these teeth, sometimes with a thin layer drilled off. These are a tried and tested way of replacing your missing tooth or teeth, but involve drilling down teeth either side of the space to provide solid anchors for the replacement tooth. There is risk of damage to the nerve of your teeth whenever they are drilled down for a fixed bridge, and this can lead to an abscess, and potentially tooth loss.